Here at Alterative Doors, our specialty is making custom bifold doors for our commercial and residential customers in the Perth region. Our aluminium bifold doors are expertly manufactured from the highest quality commercial-grade aluminium. We also create stylish timber doors from a range of quality hardwoods. Bifold doors are remarkable for their ability to completely transform any room. Whether it’s expanding adjoining rooms into a single large entertaining area, creating a seamless view of an outdoor area, or letting in more natural light, our bifolds offer an elegant solution at a competitive price. Interested in Bifold Doors? Just ask for a free quote, we’re here to help. Powder coated to any colour and expertly crafted our bifold aluminium doors are masterpieces of engineering. We manufacture our doors here in Perth using commercial-grade aluminium from Alspec and 6.38mm laminated glass for extra strength. The doors are fitted with 316 marine grade stainless steel folding hardware from Centor and feature key lockable twin bolt security systems from Lockwood. Our bifold aluminium doors offer smooth and reliable operation, durability, and are designed with floor-to-ceiling applications in mind. The quality of Alternative Doors’ products is hard to match. They can be stacked or opened both inwards and outwards. Your choice of either a flush floor track for smoother access or a standard threshold. Internally beaded glass doors for greater security. Efficiently sealed for superior weathering. While bifold aluminium doors are our specialty, we also offer a choice of timber doors for Perth. These are a great choice if you’re looking for lower cost doors, or just prefer the look and feel of timber. We custom make these doors using Meranti. Safety glass is used in all our timber bifolds and we install them with the same high-quality hardware from Centor and Lockwood. 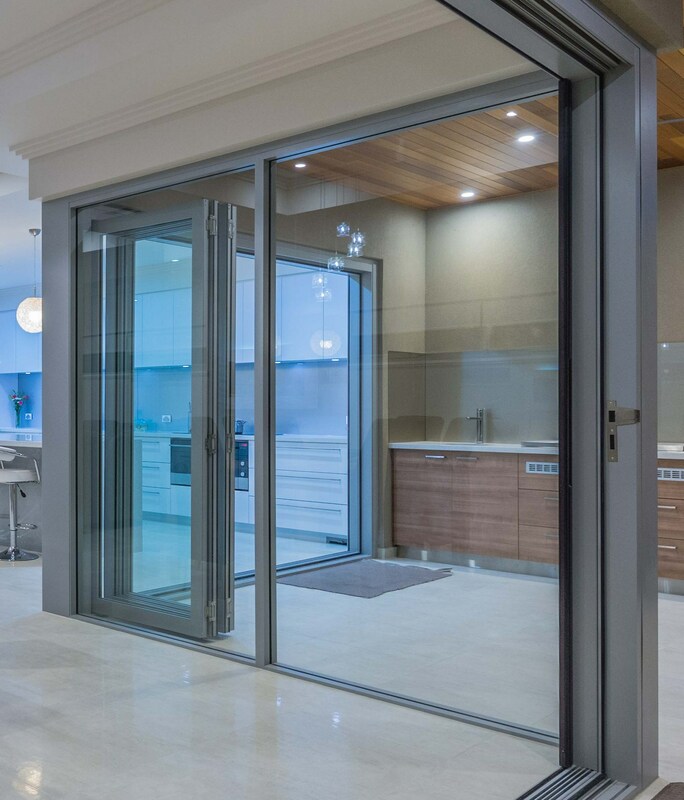 To discuss new bifold doors for your Perth home or business, call us on (08) 9240 5068 or enquire online.